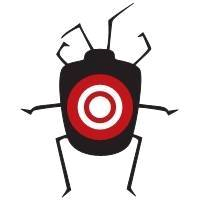 On The Spot Pest Control is a family owned and operated out of the Central Jersey area. We use clean and safe practices. Your family, pets, property and possessions are of the upmost importance to us. On The Spot Pest Control is fully licensed and insured. We are here for ALL your pest control needs! Safety and customer service are both critical elements to our business. We also focus on getting the job done right the first time. If you're happy, we are happy! Restaurants, Apartment complexes, Public Schools and Day Care Centers, Office Buildings, Universities, Shopping Plazas and Warehouses. Great staff. Always calling and checking up to see if we need anything. Technician is very friendly and helpful. Thank you for the review Gina! They do a great job. Very helpful always answer any questions that we may have. Techs are very polite and helpful will always ask if there is anything that needs to be addressed. On The Spot was awesome. Squirrels gone from my attic in one day with a one way screen. After two weeks of hearing no squirrels they came back and put a permanent screen in. They explained everything very clearly and gave me options of traps or the one way screen. I highly recommend them. Nice job guys! Thank you for the review Dan! Thank you for the review Dave! OTS is very reliable and accommodating especially when you have an urgent need. I highly recommend them. Thank you for the review Suzanne! First time customer and would definitely call them again. I had some of the small ants in my office, but they disappeared immediately after getting the service. Also appreciated the timeliness of a same day appointment. Great service! Always on time and personable. Definitely recommend. Thank you for the review Michelle! Very good service, no complaints regarding any issue with the pests. thank you for good serv. We have been so pleased with your service . . . courteous, friendly and always professional! Thanks! On The Spot Pest Control people are responsive, on time and do what they promised without any additionals unless you request it. It is a good feeling to know that in these frivolous times where reliability is not a very understood word, where promises are unkept or completely ignored there is one reliable company and it is On The Spot Pest Control. If you need their services, you won't be disappointed. Very pleased with service they provided to rid my basement of mice. Very knowable and thorough technician. I fired my old service and hired them immediately! I have not seen a centipede or spiders since you began treating my home! Awesome! Great company! From the office to the technicians. They cleared up our carpenter ant and termite issue before any damage to the house. Also haven’t seen any spiders or other insects in months. Definitely recommend. Thank you for the review Craig! Thank you for your review Australia! Great service and very professional. Keep track of when services are due. Very reasonable. Another great experience with this company, speedy service and Justin the tech who showed up was just great. This business knows all about customer service. Can"t thank them enough. The technician was very prompt and knowledgeable. Greg was on time, extremely thorough, and exceptionally knowledgeable. Additionally, he was very courteous and professional. I would definitely recommend On The Spot Pest Control! Thank you for the review Alicia! After an exterminator came back a second time after we continued to see more carpet beetle larvae, the issue improved significantly. We did need two visits though. Also, it seems there may have been some miscommunication on the window time for our second visit as the representative came 15 mins late and did not warn us ahead of time. Thank you for coming out right away and completely getting rid of the yellow jackets and ants! You're welcome and thank you for the review. We are extremely satisfied with the service provided from “on the spot pest control”. The technician was knowledgeable and courteous. Laurie was most helpful and patient as she guided the procedure. I would highly recommend this company since we experienced a positive outcome. Thank you for the review William! Thank you for the review Donald! Thank you for redoing the poor work of Neil. Contacted On The Spot for what turned out to be German roaches. The person who took my call was helpful, explaining all the different options, and the person who came out to treat our house was friendly, professional, and had good communication with us before and after. Thank you for the review Curtis! I am very happy with your service! Everyone we dealt with has been extremely pleasant! And Justin was great! He was very thorough! I would recommend On The Spot Pest Control to any neighbor without any hesitation. The service is second-to- none! Excellent job and good customer service. Thank you for the review Sarah! I had a VERY large and aggressive wasp nest in my backyard. They were prompt, knowledgeable on the phone, knowledgeable when they showed up and everything was handled safely and completely. I highly recommend them. Thank you for the review Amy! I'm very happy with On the Spot Pest Control's services. They are always on point and paying attention to my notes. Thank you for the review Pauline! Great service. All questions are answered in a clear professional manner. Follow up calls are welcomed and answered promptly. No waiting for days to get a return call. I would highly recommend this company. Thank you for the review Gloria! Very happy with their service. They show up on time and follow up after if we have questions. Thank you for the review Julie! Thank you for the review Norman! Excellent service! They took out a large hornet’s nest same day I called for a fair price. I would highly recommend their service. Thank you for the review Joe! When I contacted On The Spot Pest Control about a scheduling issue, they addressed the problem immediately. The technician who came out did a great job! Thank you for the review Andrea! On The Spot always shows up on time, and I never feel as if they're trying to sell me unnecessary services. I appreciate working with a company that I can trust. On The Spot Pest Control was fast, on time and took care of pest issue. I would recommend and use them again. Thank you for the review Eric! Thank you for the review Amit!